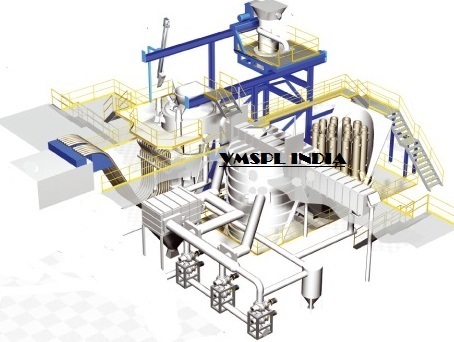 "VMSPL INDIA being a well estabilished & Leading Exporter, Manufacturer , Supplier of Vacuum Degassing (VD) Plant Technology for high quality Steel production, our technology is gives consitent efficiency & performance " . We also revamp the old vacuum system with the performance oriented system especially replace old steam ejector system with latest mechanical type pumps. • To reduce hydrogen level of the liquid metal to safer levels for FORGING. • Very low carbon Stainless Steel , using high carbon ferro chrome. • Economic production of all ELCN ( Extra Low Carbon ,Nitrogen) grades. 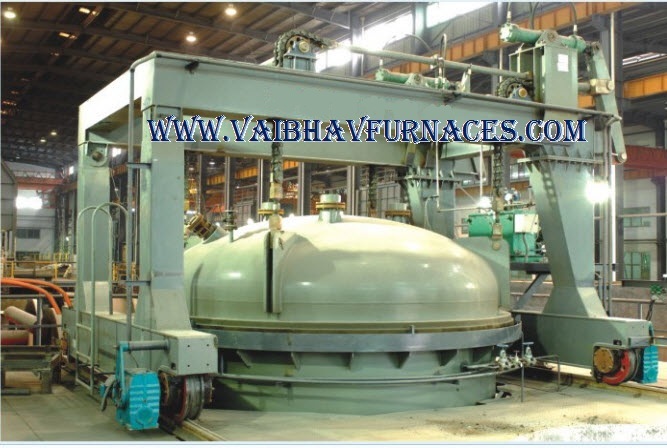 VCD ( Vacuum Carbon Decarburization) & VD are the further steps performed on the Liquid Steel . 2.TANK DEGASSING : In Tank/Vessel Degassing the Ladle is placed into a fixed Tank/Vessel .Due to this quite intensive argon stirring is possible. Also leakage issue (observed in Ladle Degassing , if Ladle Flange is not clean) are not encountered. 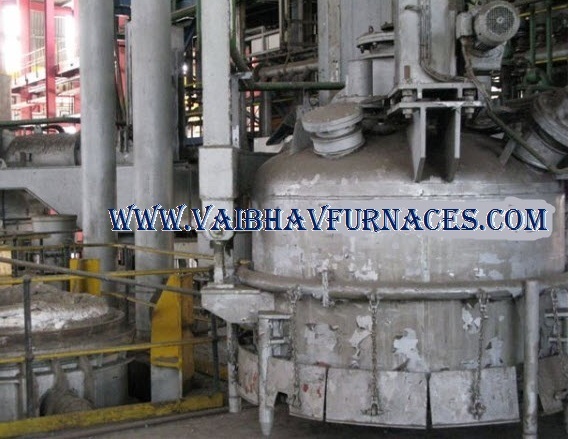 All large capacity steel plants are equipped with Tank Degassing facilities. a. Temperature losses associated with other VD processes are avoided. b. In the process streams degassing is applicable , which results in lower level of Hydrogen in the ingot. c. The biggest advantage from this process is that we can cast bigger size of the Ingots form the furnace capacity , by providing additional liquid metal for the process. 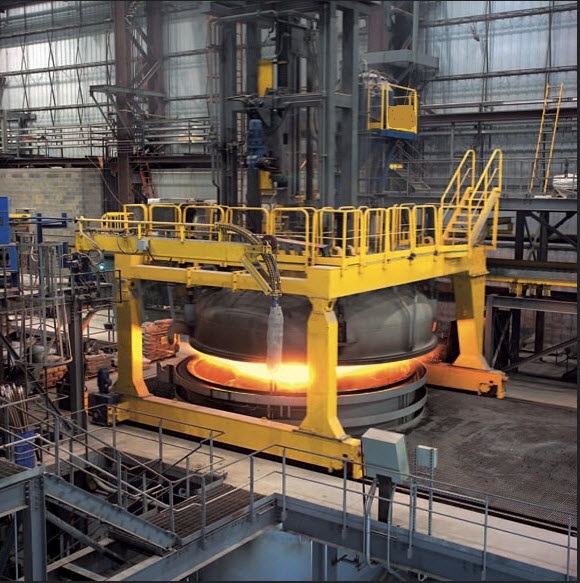 As an example , if there are one EAF of 150T Capacity & two LFs of 150T Capacity , then it is possible to cast 450T Capacity Ingots , normally required for power plants. 1. STEAM EJECTOR SYSTEM : This system is based on Ejectors & Condensers for creating vacuum. As there are very few moving parts in the ejectors , this is quite robust & reliable. This system is prefered where availability of water is abundant. 2. MECHANICAL PUMPS : This system comprises of different types of Mechanical Pumps arranged in different sequences. This system is catching up very fast with Ejector based System as their have been several developments in recent past. 3. COMBINATION OF EJECTOR & MECHANICAL PUMPS : This is a system in which both Ejectors & Mechanical Pumps are used . Mechanical pumps are used in the last stage , reducing the steam consumption & wastage .